We had the opportunity to create a brand design, including the website and logo, for the PRISM (Paediatric Rehabilitation Intelligent Systems Multidisciplinary) Lab at Holland Bloorview Kids Rehabilitation Hospital (along with the Virtual Music Instrument training tool). This dynamic group needed a brand identity that conveyed their vision, activities, and goals. The process began with gathering visual inspirations and understanding the PRISM Lab’s research and clients. As the world “prism” implies a clear visual element that reflects light, the logo was design to convey this. The bright colors and engaging shapes worked particularly well since the lab deals with children. 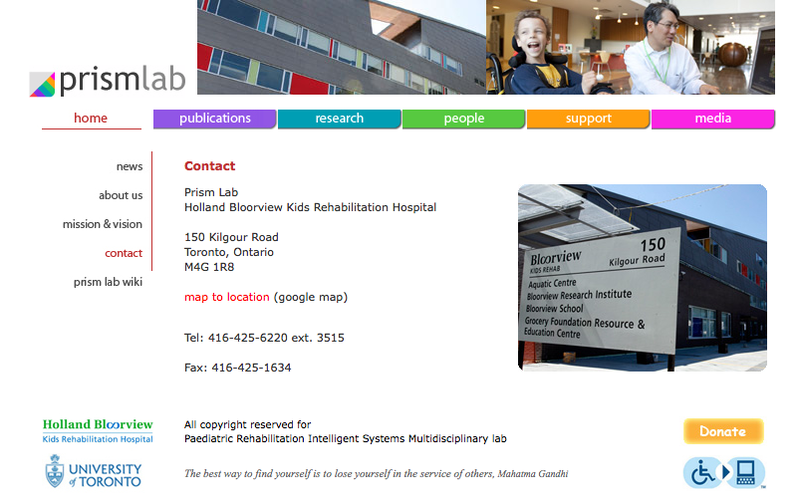 Another source of inspiration was the environment of Holland Bloorview Kids Rehabilitation Hospital . Since the hospital is dedicated to children’s rehabilitation, it maintains a friendly and colorful environment. The hospital building was in fact newly designed, and has been recognized by the International Academy for Design and Health for its optimized design for children’s healthcare. The architecture ended up having a strong influence on our design. The final logo had a grey base and colorful details, which is consistent with the building itself. The website contributed to the promotion of the lab to the public as well as to academia. 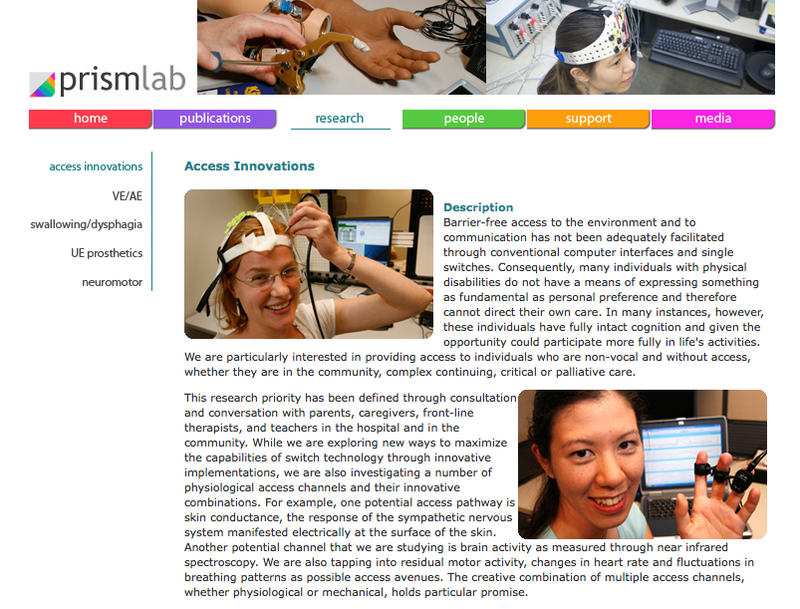 Please note that the website (www.prismlab.org) was reconstructed due to the hospital’s new policy. The website was live between 2007-2011.